OCZ Technology Group, a leading supplier of DRAM and flash-based products, has launched its first value solid-state drive (SSD) at sub-$100 price-point. The flash-based storage device can boast with relatively high performance along with Trim command and is designed to speed up boot-time of Windows 7-based personal computers (PCs). This is great news especially for all those folks waiting to get into SSD market to improve speed and performance of their systems. The SSD sports up to 125MB/s read speed, up to 70MB/s write speed and Trim command to optimize performance of the drive. 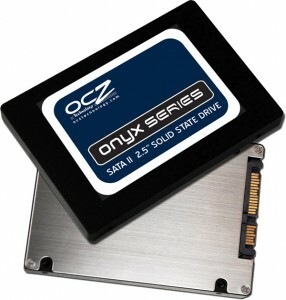 OCZ declares 0.1ms seek time as well as 1.5 million hours meantime before failure time for its new cost-effective product. The company claims that its Onyx 32GB will cost less than $100 and will be aimed at cost-conscious buyers.